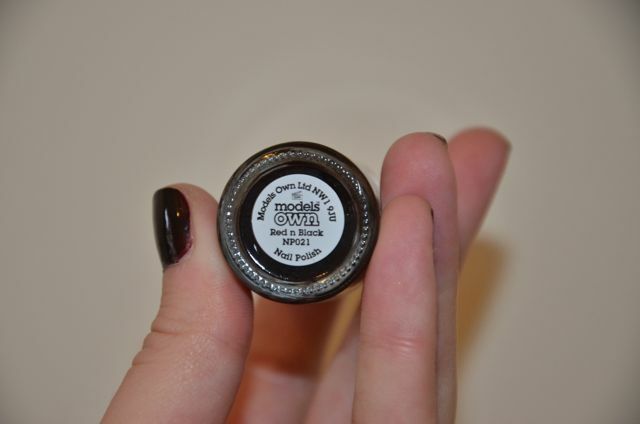 I have heard so many good things about Model's Own nail polishes so while I was at Clothes Show Live I picked up a few to try out. 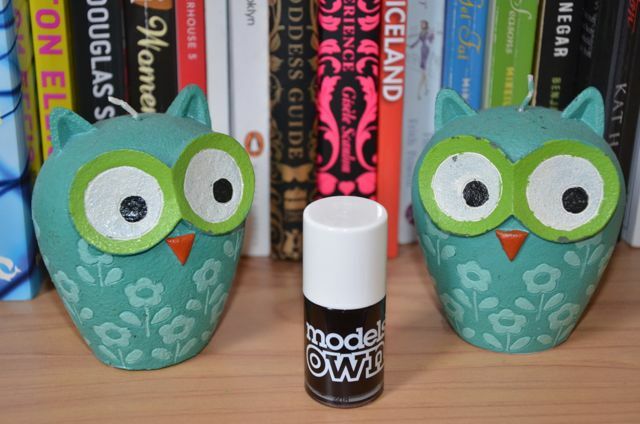 I must say, I'm very impressed with the quality of Models Own Red 'n' Black. I wasn't quite sure what to expect out of the color, so I bought this one primarily out of curiosity. The color comes out as black at first look, but in the light it has a reddish tint. 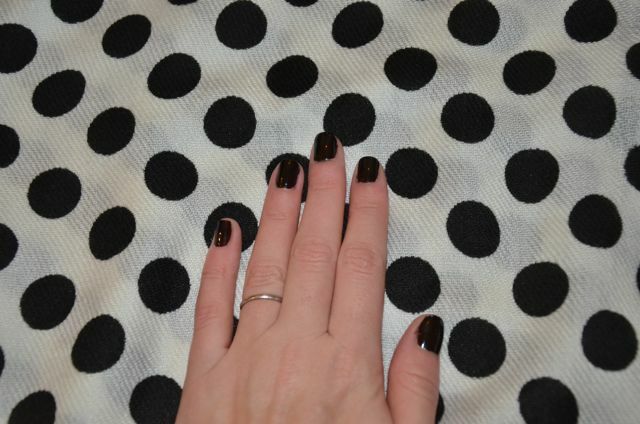 I love dark nail polishes, so this color is the perfect addition to my collection! What color are you sporting on your nails this week? I have never heard of models own, but the color sounds fun! Normally I am pretty boring and stick to Essie Ballet Slippers.